Late last week, a report indicated Google had scrapped a plan to create its own standalone VR headset. Now Engadget has thrown cold water on that, saying Google is indeed still working on its headset project. Recode claimed Google’s X Lab was working on the headset at one point, but has moved away from working on that project. That report detailed a headset with an entirely new operating system, which could have been why the project ended. 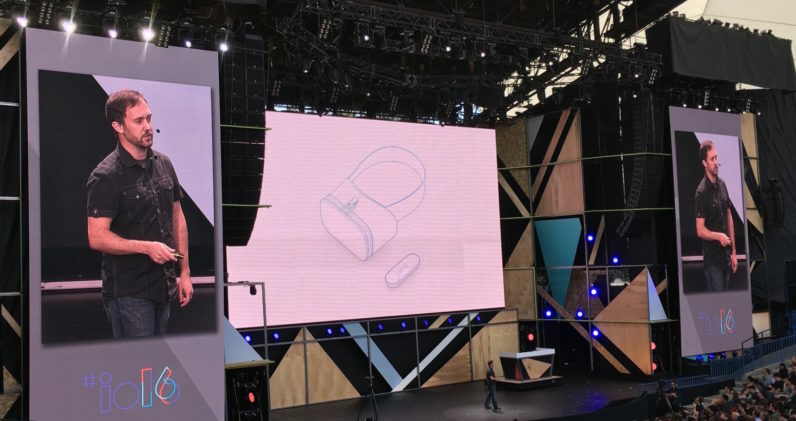 With Daydream, Google has created a foundation for any OEM to get involved with VR, so a standalone OS and companion hardware — even if it’s open source — is counterintuitive to Daydream’s goal. Currently, any smartphone can end up as a VR device, or companies can create their own standalone hardware and enjoy Daydream compatible games. With X Labs apparently losing steam on VR, the latest report notes that Google is still focused on a standalone VR headset — it’s just not married to a proprietary or different operating system. Daydream is billed as a stepping stone toward this alleged headset, with the company “actively assigning” various Googlers to work on it. The hardware sounds a lot like something we’d previously reported on — which all dances around the possibility that it could be a Tango tablet strapped to your face. It’s ‘high end,’ has a screen and a forward-facing camera and mixes ‘augmented reality and virtual reality.’ This device was also rumored to debut ahead of I/O, though that never happened. There’s also reason to believe Google’s flashy purchase of Magic Leap has a heavy hand in all of this. We’ve consistently been promised big things from the company, and have been teased by various images and video snippets, but have yet to experience anything notable. Like Apple appears to be doing, Google could just be stacking its deck in preparation for a huge VR unveiling for next year or beyond. VR is here, but it’s not part of everyday life — not by a long shot. But once the big players get involved, it will be.